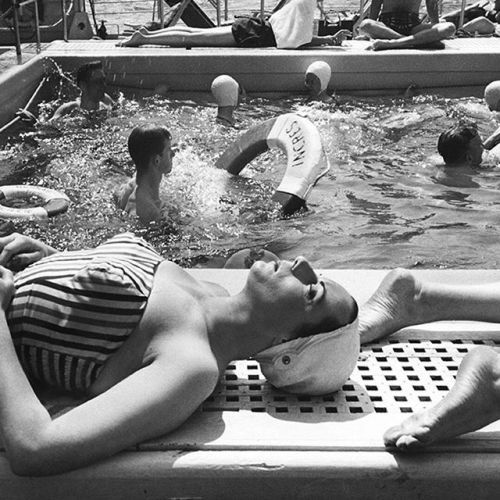 “The @nytimes staff photographer Sam Falk took this #poolside photo in May 1951. The same weekend, the paper reported on the prospects for the summer holidays. “Almost every single item that goes into a vacation — from tennis rackets to bathing suits, which may be skimpier in coverage but not in price … costs more now than it did a year ago,” the article said. This #nytweekender, we dug into our #archives in honor of #LaborDay weekend. And with that: Goodbye, tennis rackets. Goodbye, bathing suits. Goodbye, summer.” By nytimes on Instagram.